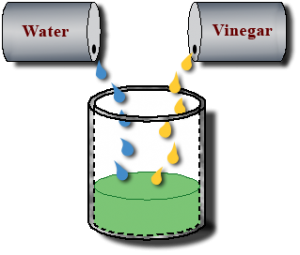 The use of white distilled vinegar as a household cleaner has risen in popularity in recent years for a good reason. It is natural, safe and most of all effective in getting rid of bacteria, germs and mold. This can be attributed to the acid level found in the vinegar. If you want to start using products that do not make use of harsh chemicals, cleaning with water and vinegar is a good place to start. The best part is that it is also cost-effective and environmental-friendly. For chrome sink fixtures, combine two tablespoons of salt and one teaspoon of white distilled vinegar. This will make your chrome sink fixtures shine and sparkle. Cleaning and deodorizing a drain can be a headache. For an efficient solution, combine a cup of baking soda with a cup of hot white distilled vinegar. Pour it into the drain. After a few minutes, let hot water flow into the drain. For a stinky garbage disposal, pour in half a cup of baking soda and half a cup of hot white distilled vinegar. Similar to deodorizing a drain, allow it to sit for a couple of minutes before running hot water. If your oven window door is ridden with oil, do not fret. 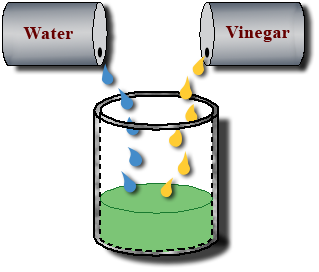 Pour some white distilled vinegar onto a sponge or rag and gently wipe the door. Be sure to leave it open for about 15 minutes before wiping off the vinegar with a sponge soaked in water. Coffee cups and teacups tend to accumulate stains from years of usage. To get rid of these stains, combine equal parts of salt and white distilled vinegar. Scrub until the stains disappear. You may also substitute baking soda for salt. Years of using plastic food containers over and over can render them stain-filled and somewhat stinky. To remedy the stains and smells, use a cloth with white distilled vinegar to rub the plastic food containers. Rinse with water afterwards. If you are on a tight schedule and do not have the time to do the cleaning yourself, you can always hire a reliable household cleaning service to do the job for you!